How long can I stay in the Space Apart Hotel? Our guests are free to stay for as long as they wish. What is the minimum number of days I can stay at the Space Apart Hotel? The minimum length of stay is 2 nights. What attractions and restaurants are close by? There is a number of highly desirable places to visit and sights to see. From Hyde Park, to the Porchester Centre, the Royal Albert Hall, Harrods, Whiteleys, Portobello Road and of course London's world famous West End theatre district. The hotel's immediate vicinity is home to restaurants and gastronomy from all over the world. Please see the Local Area section of our website for more specific details. For our cancellation policy details, please click on the link below. How do I benefit from discounts if I become a regular guest? Please liaise with the hotel manager. Contact Us. Apartment keys may be collected from the Front Desk. Can I extend my stay after 3 months? Most definitely. 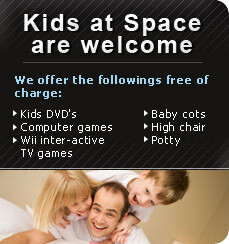 Space Apart Hotel is only too pleased to encourage guests to stay as long as their personal circumstances require. Discounted rates are available for long stay guests, please Contact Us. In order to make any changes or amendments to a previously scheduled booking, please see our booking policy details. Our facilities do have disabled access and are designed for the comfort and convenience of an all-inclusive clientele. Should you have any particular requests in this respect, please contact the hotel manager to discuss your requirements. I need more information before I can complete my booking. Who can I contact? If you are currently resident within one of our studio apartments, then you can also contact the Front Desk for assistance. Is there a luggage store? 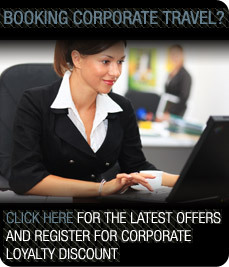 Yes, for check in and check out dates only. Yes, all apartments have air conditioning and 24 hour fresh air ventilation units. Do you permit smoking in the rooms or anywhere in the hotel? No, smoking is not permitted on the premises.